Intense night wrinkle care for dry and wrinkled skin formulated with a combination of two active ingredient complexes: Urea technology and HYALURON-FILLER Technology. 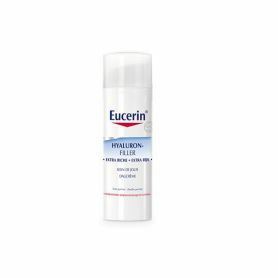 EUCERIN HYALURON-FILLER EXTRA RICHE Night Care offers intense hydration and visibly reduces wrinkles and fine lines of dryness. 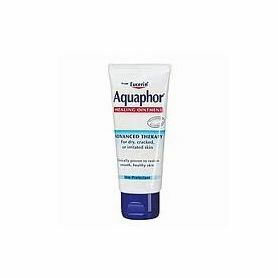 It contains a combination of two technologies from Anti-Aging Expertise and EUCERIN Dry Skin Expertise: Urea Technology (Urea and Lactic Acid) & HYALURON-FILLER Technology (Dual Molecular Hyaluronic Acid and Saponin) ). In addition, the Night Care contains Ceramides 3, to nourish the skin during its nocturnal regeneration cycle. Skin aging and dryness are closely linked. With age, the skin tends to dry out, thus promoting the formation of early wrinkles. 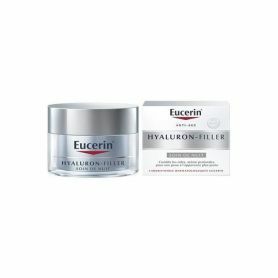 EUCERIN HYALURON-FILLER EXTRA RICHE Night Care is formulated for people with dry to very dry skin and looking for an anti-aging care. Urea's technology improves the skin's ability to retain water, HYALURON-FILLER technology visibly reduces the appearance of fine lines and wrinkles, and Ceramide 3 regenerates the skin at night. No dyes, no perfume, no comedogenic.